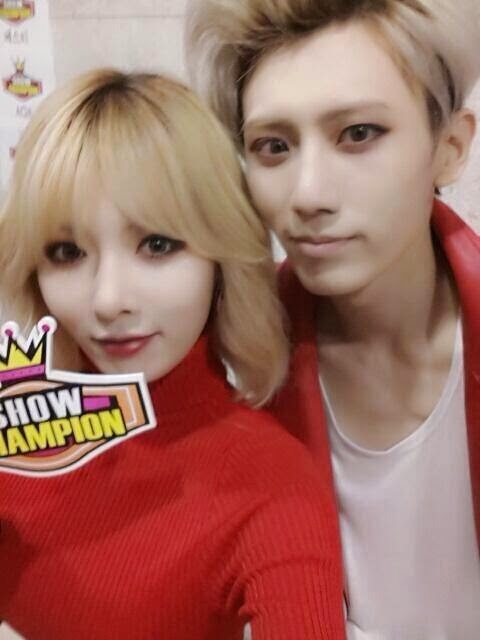 After killing the charts with second mini album, the duo of Trouble Maker finally hit the stage with a sizzling hot comeback performance of “Now” on ‘Show Champion’! “Now” (or “There Is No Tomorrow”) is title track to Trouble Maker’s second mini album ‘Chemistry’. The song is penned by Shinsadong Tiger who received inspiration from the musical ‘Bonnie and Clyde’.